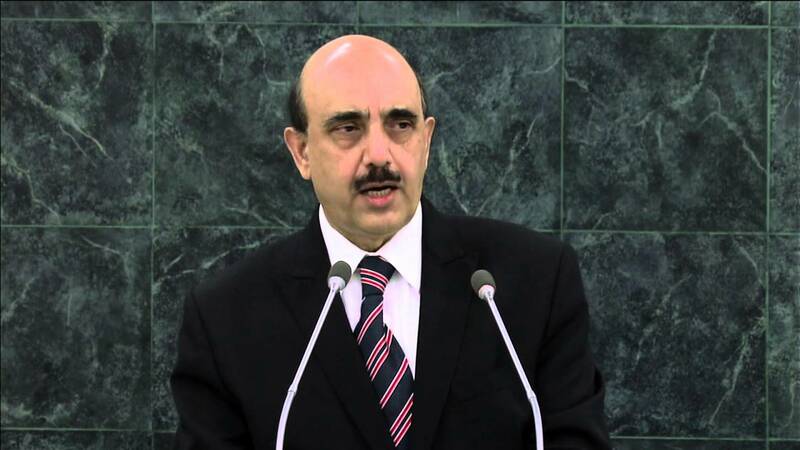 AJK enters 'e-health, e-education realm' for swift delivery of quality health cover, education: AJK President Masood. Home Uncategorized AJK enters ‘e-health, e-education realm’ for swift delivery of quality health cover, education: AJK President Masood. MIRPUR (AJK) : Describing e-health and e-education new realities of the current era that not only reduces unnecessary cost but also creates greater efficiencies and increase productivity, AJK President Sardar Masood Khan Wednesday directed state-run Special Communication Organization (SCO) to upgrade its telecom infrastructure across Azad Jammu Kashmir harmonious to the need of the modern age to achieve the gigantic task. The President expressed these views in a meeting with Director General, Special Communication Organization, Major General Ali Farhan who called on him at the President house in the in the state’s capital town on Wednesday. Underling the priorities of the State government for speedy uplift of both health and education sectors across AJK through latest means in this e-era the President said that the AJK government was providing specialized healthcare to the patients and distance education to the students including in far flung and remote areas of the State. The DG SCO apprised the President of the delivery of latest telecom facilities to the consumers across Azad Jammu Kashmir and Gilgit Baltistan by his organization. The President appreciated the efforts of SCO for providing telecom facilities to the people of AJK and GB in a challenging environment since its inception in 1976. He urged the management of the organization to further upgrade their services to facilitate the students in remote areas to use technology in the classrooms to enhance the learning functions and improve academic performance. The Information Technology Department of AJK government will cooperate with the SCO putting in place such facilities in different areas of Azad Kashmir, the President maintained. Stressing on the need of close cooperation and coordination between public sector universities of Azad Kashmir and the Special Communication Organization, AJK President said hundreds of graduates pass out every year from the universities with degrees in various technologies including telecom can be absorbed in the organization. The President also emphasized that people living along the Line of Control (LoC) especially those in Haveli and Neelum Valley should be provided both landline and mobile phone services. “The provision of phone services will significantly lessen problems being faced by the people living the LoC,” Khan added. He said that with its youthful and diverse population, Jehlum Valley area of Muzaffarabad and Hattian districts specifically can be the Silicon Valley. Speaking on the occasion, Director General Special Communication Organization, Major General Ali Farhan told President that SCO has been providing telecom facilities to the people of AJK and GB for over 40 years without much concern for profit- generation. SCO with its public service mandate is providing all brands of telcomm facilities to the local populace without much concern for profit generation. He said SCO has successfully executed Pak – China OFC project for establishment of first ever land based connectivity with China. This was the only project so far planned and executed under the ambit of CPEC and declared Early Harvest Project by Government of Pakistan.